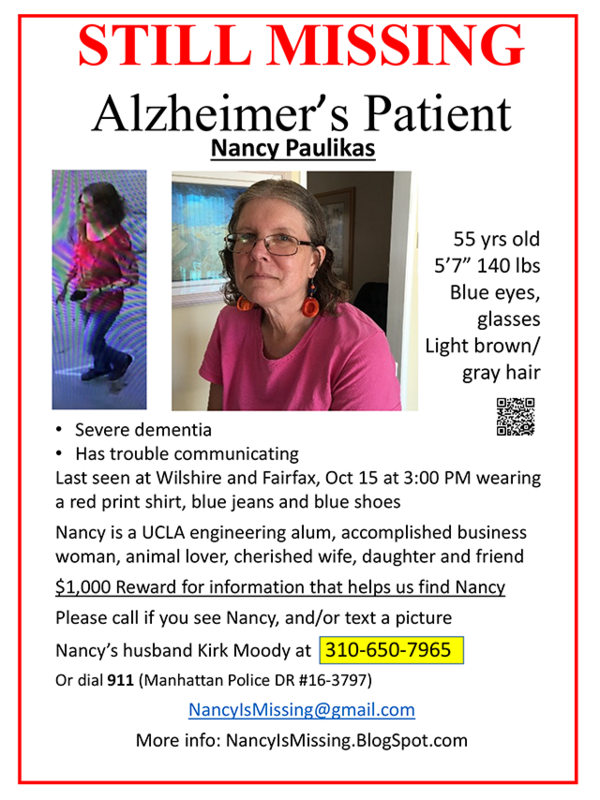 Nancy Paulikas is missing. For more information, visit NancyIsMissing.BlogSpot.com or email NancyIsMissing@gmail.com. To download and print a flyer, click here.